Chances are you have probably seen the photos of athletes and celebrities with the circular, bruise-like marks covering their back, neck, and even legs. But what exactly is cupping? They claim it increases their performance, boosts their energy, and alleviates muscle tension. Is it just a fad that gained attention because of Michael Phelps at the 2016 Olympics? Is it for 'normal people' or just exceptional athletes and those with unlimited resources? Cupping is an ancient healing technique that dates back to 1550 B.C. but has progressed to find its way in the modern world. It is especially prevalent in Traditional Chinese Medicine (TCM), a complementary health approach that uses herbal medicine, acupuncture, massage, exercise, and diet to prevent health problems. Cupping began using hollowed out animal horns but eventually evolved to bamboo cups, and ultimately glass or plastic cups. It has been around for nearly 4,000 years, an obvious testament to its efficacy in the treatment of various conditions. Cupping works by creating suction on the body's surfaces and moving over the skin. Various techniques can be used such as gliding, shaking, popping, rotating, or simply parking the cups for a short time over a specific area. The amount of suction can easily be adjusted by the therapist to provide deeper or lighter pressure. The creation of suction pulls toxins, lymph, blood and inflammation to the surface of the skin which is often why redness is produced. However, cupping is not irritating to the skin. Often, if the cup is parked on areas of the body where a lot is going on such as injury, inflammation, or trauma, a "cup mark" may be a left on the skin. This mark often resembles a bruise, but is simply discoloration due to old blood and toxins being trapped within the tissue and will dissipate in 4-7 days. The circular cup marks shown on athletes and celebrities are what has boosted the popularity of cupping in modern medicine. However, based on the specific pathology of the client some individuals may not show cup marks at all. Always be prepared, however, when booking a cupping sessions that your body may produce cup marks and they are nothing to be feared! They are a natural, holistic side-effect of an ancient healing therapy. This photo shows some of the common trigger points that occur in the trapezius muscle. Cupping is used to move stagnation in the body, whether it be blood, lymph, muscle, other connective tissue, or even energy. Stagnation is when a particular area of the body is not moving correctly or is inactive. A trigger point or "knot" is an area of stagnation because the tissue is not functioning properly. In modern medicine, trigger points are defined as tight bands of muscle that are tender to the touch and cause referred pain to other areas of the body. In Traditional Chinese Medicine, trigger points are also thought to be areas of blood and energy (Qi) stagnation. Nearly everyone has experienced a trigger point at some point in their lives. These "knots" are caused by repetitive, incorrect movement or by overuse, stress, or injury. Sitting at a desk, carrying a baby, or having poor posture are examples of actions we all do that could cause trigger points. Some of the most common trigger points in the body are located in the trapezius muscle, an area beginning at the base of the neck and extending to the mid-lower back. These points can cause referred pain in the form of back pain, headaches or migraines, neck pain, shoulder pain, jaw pain, hand or arm pain/numbness, and much more. Cupping is an exceptional technique for areas of trigger points because it can lift and stretch the tissue, separate the fused, tight bands of muscle, and increase blood flow all without producing additional inflammation. The purpose is to draw blood from the arteries to the capillaries, cleanse it, and then return it via the veins, mimicking the function of the bodies circulatory system. Lymph is drained, adhesions are loosened, tissue is released, inflammation is relieved, blood flow is stimulated, and the nervous system is sedated. Olympic swimmer with cup marks at the 2016 Olympics. If you're interested in trying cupping, there are a few things you should expect before booking a session! First, some conditions including Diabetes and uncontrolled blood pressure are contraindicated for cupping. Call your licensed massage therapist and talk to your doctor before booking an appointment. Also, many people are hesitant to try cupping because of the cup marks that can be left on the body. These are not something that should be feared! Cupping is an ancient healing therapy and cup marks are sometimes indicators that energy, tension, or toxins have been released. In addition, there are some after care instructions that are strongly urged to clients after a cupping session. Drinking plenty of water is not just a suggestion but a must after receiving cupping! To facilitate the proper elimination of toxins, the body and its tissues needs to be adequately hydrated. Sometimes clients can report feeling sluggish or sore immediately after a cupping session. This is normal. Drinking plenty of water and getting adequate sleep will help lessen those effects. It is also recommended to avoid drastic temperatures after cupping. Avoid showering, swimming, intense exercise, steams rooms or saunas, or any other exposure to the extreme cold or heat for 12-24 hours after a session. If you have any questions or concerns after a cupping session your practitioner should always be available. Ask questions! Never be afraid when trying something new to make sure you know what to expect. 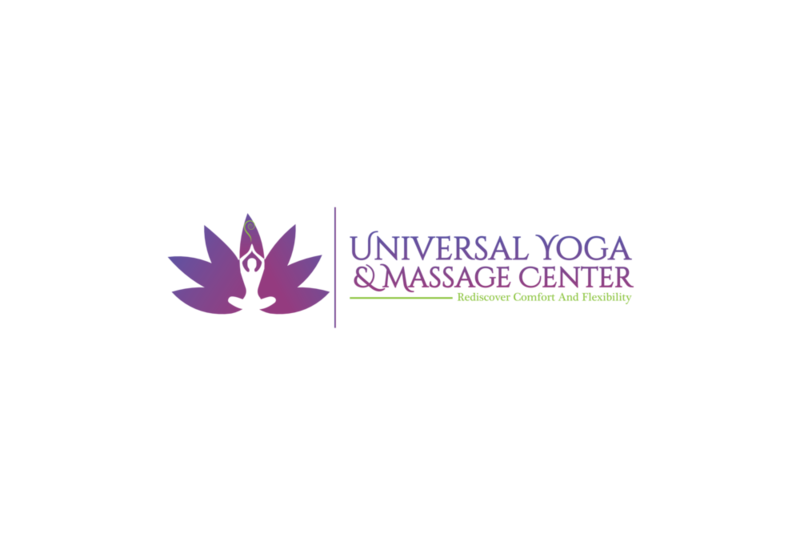 The benefits of cupping are something we at Universal Yoga and Massage Center want to provide for our clients. However, we know trying something new can be scary or confusing. We welcome any questions, comments or concerns you may have. Our cupping sessions will be offered as a 15-minute add on to any existing service or as a stand alone 15-minute treatment. Cupping is a great addition to a normal treatment especially for those suffering from chronic pain, poor circulation, or inflammation. As with any massage therapy session, always notify your therapist if you are experiencing any discomfort or need the pressure to be adjusted. Call us at (315) 210-6333 or book online to try cupping today! Pool Poses: Yoga On the Go!